A Luxembourg-based chief prosecutor, tasked with investigating EU budget-related fraud, will start work next year after getting final approval from the European Parliament on Thursday (5 October). 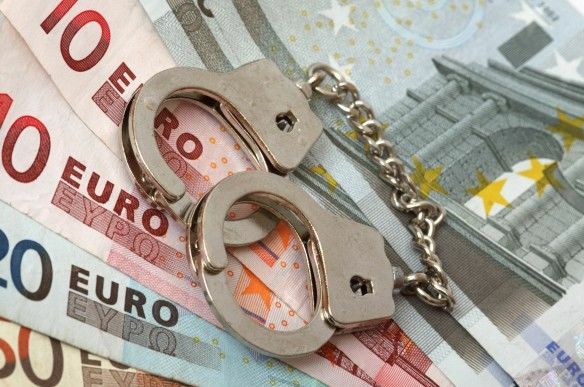 Until now, only national authorities could investigate and prosecute crimes such as intentional misuse of EU structural funds or cross-border VAT fraud, but it was much more difficult because these authorities’ jurisdiction ends at national borders. Member states gave their assent to the creation of the office in the 2009 Lisbon Treaty. However, the legislation creating the agency, first put forward in 2013, has been delayed because of opposition from some member states. Due to unanimity requirements, the European Council opted for ‘enhanced cooperation’, with only 20 of the EU’s 28 member states participating. Non-participating countries include the UK, Ireland, Denmark, Sweden, Hungary, Malta and the Netherlands. They are free to join at any point in the future. French President Emmanuel Macron and European Commission President Jean-Claude Juncker both endorsed a possible expansion of the prosecutor’s role to areas like terrorism in a speech last month. “Hopefully, the scope of the EPPO’s powers could in the near future also include trans-border crimes like terrorism and trafficking of human beings,” Matera said. “Macron and Juncker are both looking ahead and have shown their support for broadening the remit of the EPPO to include the fight against terrorism and organised crime,” said German Green MEP Jan Philipp Albrecht. “The governments of the member states should also throw their weight behind such proposals. The EPPO has the potential to become a major European project and the doors are open to all EU countries to engage with it,” Albrecht said. “The European Public Prosecutor’s Office could also be tasked also with prosecuting cross-border terrorist crimes,” the Commission said. The European Conservatives and Reformists Group in the Parliament is against the creation of the office, a spokesperson for the group told Euractiv. The Luxembourg office will have a chief prosecutor and prosecutors from all participating countries, who will be heading the day-to-day criminal investigations carried out by delegated prosecutors in all participating member states. The Council is expected to give its rubber stamp to the measure next week. This is the thin end of the wedge for the adoption of ‘Corpus Juris’, the new European Legal System. They say the new Prosecutor will be investigating fraud but that was exactly the original remit for Europol who soon after inauguration made massive power grabs into all aspects of crime in Europe with the intention of turning Europol into the EU’s own FBI. The Remainers just do not seem to understand that by staying in the EU, Britain will lose 1100 years of Common Law. The Remainers all scream that they oppose Brexit as their ‘democratic right’ but what about the rights under Common Law for the majority? The EU is unlikely to last many years but to stay in will lose Britain a legal system that is the envy of the World and they will lose it in perpetuity. “This is the thin end of the wedge for the adoption of ‘Corpus Juris’, the new European Legal System”. Err, no, the Corpus Juris project was rather something different, and shelved already years ago. “That was exactly the original remit for Europol who soon after inauguration made massive power grabs into all aspects of crime in Europe”, you know not a word of that is actually true, right? “But what about the rights under Common Law for the majority?” None will be affected by the creation of EPPO. Do you even know what the common law system is all about?